PPI use often continues because increased gastric acid hypersecretion can occur when it ceases,1 as is the case in 60% to 90% of patients taking PPIs for at least two to three months. Rebound hypersecretion symptoms, which occur when the body’s normal gastric acid has been suppressed and then recurs when PPI use ends, can take that long (or longer) to resolve, depending on the previous dose and duration of therapy. To avoid the condition, a patient’s PPI dose may need to be reduced initially, followed by reducing the frequency of administration. For example, if a patient initially takes 40 mg of a PPI twice daily, the dose should be decreased to 20 mg twice daily and then the frequency should be reduced to daily followed by every other day, with decreases occurring approximately every week (or at longer intervals, if necessary). Additionally, patients could use antacids or H2 blockers such as ranitidine or famotidine for breakthrough symptoms. Data from seven epidemiologic studies prompted the FDA to revise PPI warning labels to include safety information about the possible increased risk of hip, wrist, and spine fractures with the use of these medications. Patients over the age of 50 also appear to be at increased fracture risk. Increased risk appears to depend on dose and/or duration, with patients receiving high doses and/or long-term therapy (more than one year) having a greater risk. It is believed that decreased calcium or vitamin B12 absorption contributes to PPI-related hip fractures. Patients taking PPIs who are at risk of osteoporosis are encouraged to supplement with calcium citrate and vitamin D.
It is believed that the increased pH resulting from PPI gastric suppression encourages bacterial growth with even short-term PPI use (less than one week), increasing infection risk. Patients being considered for long-term PPI use should be tested for a baseline magnesium level and then undergo periodic evaluations throughout the course of PPI therapy, especially if they are taking digoxin. It is important to monitor for symptoms of hypomagnesmia, which include muscle cramps, heart palpitations, dizziness, tremors, and seizures. Supplementation with an over-the-counter product such as Slo-Mag or MagOx may be indicated, and if magnesium levels do not improve with supplementation, the PPI may need to be changed to a H2 blocker. • Forty percent to 70% of all hospital patients receive PPI therapy. • Two-thirds of PPI orders are given without an adequate indication. • In one-half of hospital cases, PPIs are ordered on admission, and only one-half of these orders are discontinued on hospital discharge. Improved medication reconciliation processes are needed, and pharmacists, nurses, and discharge planners must increase their focus on PPI use occurring throughout a patient’s hospital stay and on the patient’s discharge back into the community or, in many cases, nursing home care. Failure to discontinue PPI use on discharge has been shown to result in a large number of patients inappropriately receiving long-term PPI therapy, with an increased risk of adverse events. The hospital discharge planning team can assist by ensuring a diagnosis validating postdischarge PPI use is documented, and if PPI therapy was started for stress ulcer prophylaxis while the patient was hospitalized, have the order discontinued on discharge. When patients are discharged from the hospital and admitted to long term care facilities, the admission team should have processes in place to ensure a supporting indication exists for PPI therapy along with any information concerning the severity of symptoms and length of therapy. If this information is not present, the discharging hospital should be contacted to determine the indication for PPI use. Physicians in ambulatory care settings and nursing homes often are hesitant to discontinue PPI therapy ordered by other physicians, especially when it is not clear why a PPI was prescribed. The supporting indication for PPI use along with details about the duration of therapy are essential for health care providers to adequately evaluate PPI use. In the outpatient setting, the lack of supporting documentation or supporting indication for PPI use is common. Physicians and other providers often inadequately evaluate long-term PPI use in patients with mild GERD symptoms or dyspepsia despite guidelines recommending ongoing evaluation. It is also common for providers to minimize PPI safety concerns, fail to discuss long-term risks with patients, overlook PPI use in follow-up examinations, and reflexively refill prescriptions without adequate reassessment. To minimize the inappropriate PPI use across settings, new prompts for interventions are needed to increase discussions between providers and patients about the benefits and risks of PPI therapy while also improving the ongoing monitoring and evaluation of patient symptoms, with increased focus and consideration for step-down therapy or on-demand dosing. • Patients should use the lowest dose for the shortest duration possible to appropriately treat a specific condition. • PPIs should be taken 30 to 60 minutes prior to breakfast (and dinner if twice-daily therapy is required) to maximize effectiveness. • Patients should not maintain long-term acid suppression therapy without ongoing symptom evaluation and dose-reduction or drug-discontinuation consideration. • When used in combination with anti-infective medications to eradicate Helicobacter pylori, PPI discontinuation should be considered after 14 days. • The treatment of duodenal ulcers or nonerosive reflux disease may require only four weeks of PPI therapy. • For patients with GERD, a trial reduction should be considered after eight to 12 weeks of PPI therapy if there is documented or suspected erosive reflux disease. • When treating GERD symptoms, step-up dosing strategies should be considered, which include starting with H2 blockers twice daily and if symptoms are not adequately controlled, discontinuing the H2 blocker and beginning once-daily PPI therapy, increasing to twice daily if symptoms continue. • Step-down dosing strategies, such as tapering the PPI dose every seven days for patients with GERD or achieving maintenance dosing for other GI disorders, should be considered. For example, if a PPI initially is dosed at twice daily, taper to once daily for seven days then every other day for seven days, resulting, if possible, in an attempt at trial discontinuation. Alternatively, attempt a taper to maintenance doses of H2 blockers. In both cases, if symptoms reemerge, the dose should be increased to the lowest effective dose of PPI or H2 blocker required to control symptoms. • Consideration should be given to trying to control GERD symptoms with cost-effective patient-on-demand PPI dosing rather than routine dosing schedules. • H2 blockers and antacids may be useful for addressing mild symptoms, nighttime symptoms, or indigestion/heartburn. • Lifestyle modifications to help minimize medication use should be encouraged, such as eating smaller meals, quitting smoking, not eating two to three hours before bedtime, raising the head of the bed 4 to 6 inches, maintaining a normal weight, and avoiding foods that worsen symptoms. • Patients may have a false sense of safety with over-the-counter PPIs since they are widely available without a prescription. They should be advised of potential risks and instructed to contact their physician if symptoms do not relieve after two weeks of use. — Mark D. Coggins, PharmD, CGP, FASCP, is director of pharmacy services for more than 300 skilled nursing centers operated by Golden Living and a director on the board of the American Society of Consultant Pharmacists. He was recognized by the Commission for Certification in Geriatric Pharmacy with the 2010 Excellence in Geriatric Pharmacy Practice Award. • two or more of these risk factors: sepsis, an ICU stay of more than one week, occult bleeding lasting at least six days, or high-dose corticosteroids (more than 250 mg/day of hydrocortisone). — Source: ASHP therapeutic guidelines on stress ulcer prophylaxis. Am J Health Syst Pharm. 1999;56(4):347-379. *Over-the-counter versions of omeprazole are the magnesium salt. 1. Heidelbaugh JJ, Kim AH, Chang R, Walker PC. Overutilization of proton pump inhibitors: what the clinician needs to know. Therap Adv Gastroenterol. 2012;5(4):219-232. 2. Fohl AL, Regal RE. Proton pump inhibitor-associated pneumonia: not a breath of fresh air after all? World J Gastrointest Pharmacol Ther. 2011;2(3):17-26. 3. Katz MH. Failing the acid test: benefits of proton pump inhibitors may not justify the risks for many users. Arch Intern Med. 2010;170(9):747-748. 4. Hamzat H, Sun H, Ford JC, Macleod J, Soiza RL, Mangoni AA. Inappropriate prescribing of proton pump inhibitors in older patients: effects of an educational strategy. Drugs Aging. 2012;29(8):681-690. 5. Proton pump inhibitors: use in adults. Centers for Medicare & Medicaid Services website. 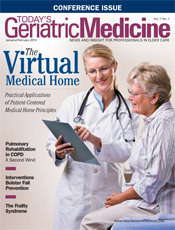 http://www.cms.gov/Medicare-Medicaid-Coordination/Fraud-Prevention/Medicaid-Integrity-Education/Pharmacy-Education-Materials/Downloads/ppi-adult-factsheet.pdf. August 2013. Accessed November 22, 2013. 6. Abrahamsen B, Eiken P, Eastell R. Proton pump inhibitor use and the antifracture efficacy of alendronate. Arch Intern Med. 2011;171(11):998-1004. 7. Clostridium difficile (C. difficile) infections. Virginia Department of Health website. http://www.vdh.virginia.gov/epidemiology/surveillance/hai/cdiff.htm. Last updated November 5, 2013. Accessed November 28, 2013. 8. Dial SM. Proton pump inhibitor use and enteric infections. Am J Gastroenterol. 2009;104:S10-S16. 9. Program integrity proton pump inhibitor education materials. Centers for Medicare & Medicaid Services website. http://www.cms.gov/Medicare-Medicaid-Coordination/Fraud-Prevention/Medicaid-Integrity-Education/Pharmacy-Education-Materials/protonpump-education.html. Last modified September 23, 2013. Accessed November 22, 2013. 10. Heidelbaugh JJ, Goldberg KL, Inadomi JM. Magnitude and economic effect of overuse of antisecretory therapy in the ambulatory care setting. Am J Manag Care. 2010;16(9):e228-234.